People who care about the environment are looking to ditch their cars (or at least reduce their use to a minimum), and turn their attention to bicycles and electric unicycles such as the TG Mini T3. I’m not sure how British automaker Mini reacted when seeing the logo and name of this self-balancing electric monocycle (especially since the other model made by this Chinese company is called Mini One), but we’re not here to discuss about intellectual property infringement, but rather about the impressive features of this unicycle. First of all, the TG Mini T3 will enable you to move fast through the city. 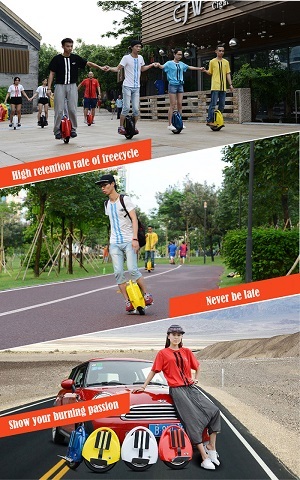 On level terrain, this electric unicycle can move at up to 18 km/h. The changeable 132 Wh Li-Po battery only needs an hour to fully charge, and after that, you can cover a distance of up to 18 km. Of course, the weight of the rider also needs to be taken into account, and according to the manufacturer, the unicycle can manage transporting riders weighing up to 120 kg. As for the unicycle itself, the materials it’s built from make it both sturdy and extremely portable. In fact, the unicycle can be run over by a car or thrown on asphalt, and it would continue to function as if nothing ever happened. To some, using a unicycle is a sign of laziness, but that’s far from the truth. TG Mini T3 can train your balance and your reflexes, not to mention that it will help you become more flexible. 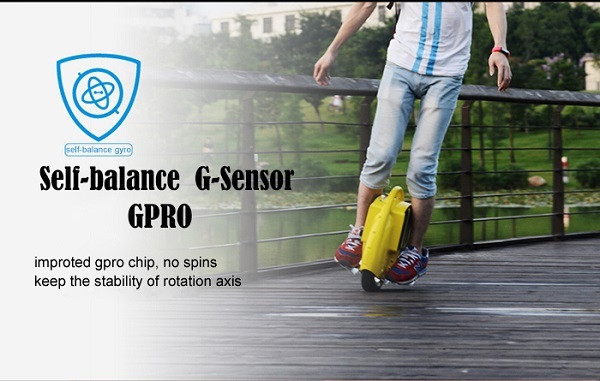 The gyroscopic sensor helps a lot with keeping the rider perfectly balanced. You might think that learning to ride the T3 takes a long time, but some people manage to do it in as little as 10 minutes. A protection system was also implemented by the manufacturer, so that the unicycle cannot side-tip. Four LEDs indicate the battery status and let you know if it’s running low. On top of that, when the unicycle reaches 12 km/h, the front part of the pedal rises to make sure that the rider does not exceed the speed limit. 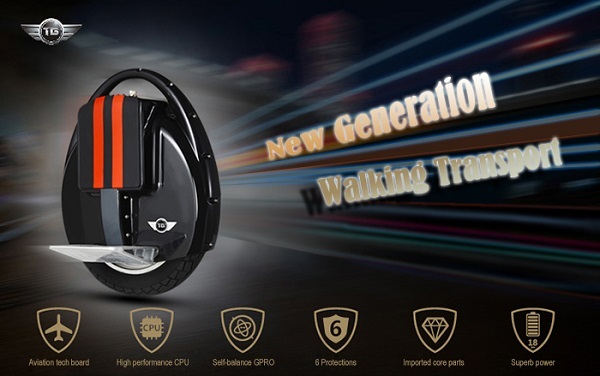 The TG Mini T3 portable gyroscopic electric unicycle can be purchased from GearBest for $380 (or $375.49, if you apply the coupon code TGMINIT3 during the checkout procedure). At 9.8 kg (12 kg, including packaging), this exceeds by far the 2 kg limit that would have granted free worldwide shipping, but for orders shipped to the US, you only need to pay a couple of bucks more. Be social! Follow GadgetHim on Facebook and Twitter, and read more related stories about the motorized monocycle that provides pricey fun, or this cute mini electric scooter.